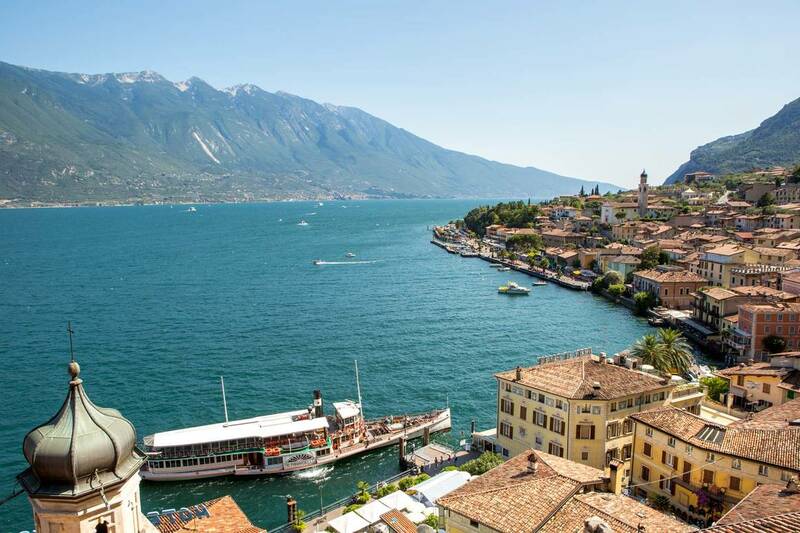 The cuisine of the Veneto, more than any other region of Italy, reflects the influence of cultures around the world due to contact with them through Venice as a major port and center for trade. The marshy region along the Po River offers the perfect growing conditions for rice, especially the Vialone Nano variety used for risotto. Risotto variations are made with seafood, meat and vegetables and one not to miss is Risi e Bisi, rice cooked with green peas and chicken broth, then finished with cheese and butter. 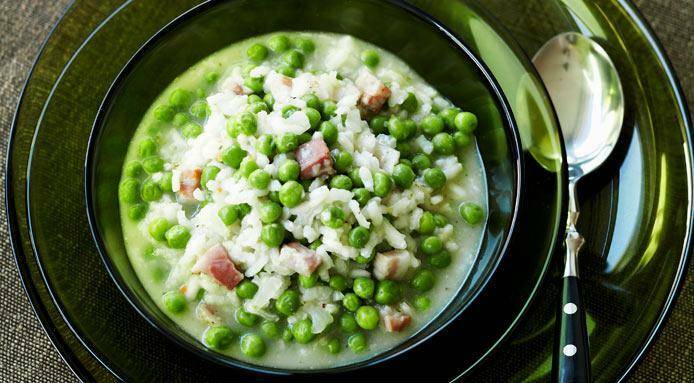 Some say that a proper risi e bisi should be made with an equal number of peas to every grain of rice. 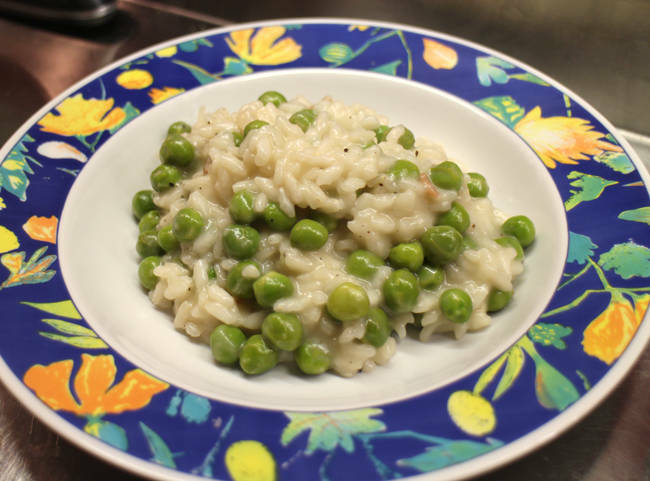 Unlike risotto made else where, risotto in the Veneto is cooked all’onda, meaning until it is wavy or soupy. A perfect wine to go with risi e bisi is Prosecco— a classic wine made from grapes grown to the north of Venice. 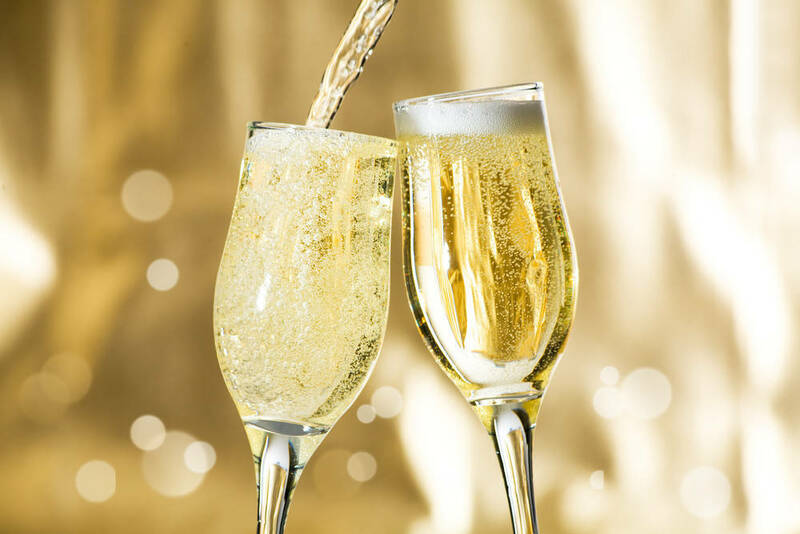 Fresh and lively, prosecco comes in different styles; the most popular is spumante, (meaning bubbly), but there are also frizzante (lightly efferevescent) and tranquillo (still) varieties. 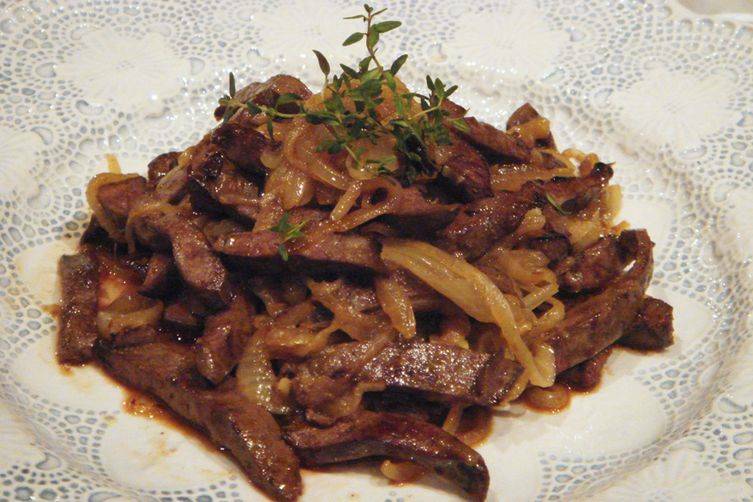 Another highlight of Veneto cooking is Fegato alla Veneziana, calf’s liver with onions. Sliced onions are slowly cooked with white wine or vinegar until soft, tender and lightly browned. Then thin slices of liver are quickly sauteed until just browned and mixed with the onions. The typical accompaniment is polenta, either soft or grilled until crusty. Fegato alla veneziana goes perfectly with Valpolicella, a red wine made from grapes grown near Lake Garda. It is a fresh and fruity red wine with hints of red fruit such as cherry and raspberry. 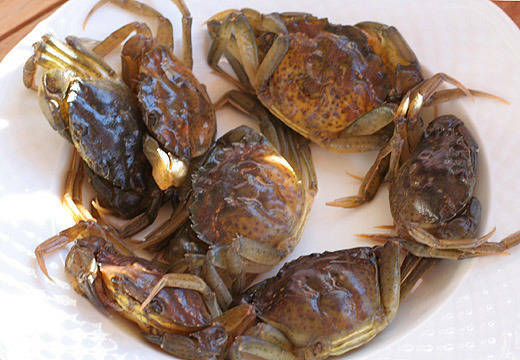 The fish and seafood from the Veneto Lagoon is renowned, especially Moleche, also called moeche, which are soft shell crabs. The crabs are available for just a few weeks in the spring and fall. Only about 2 inches in diameter, the soft shell crabs are coated in a light batter and fried in hot oil until crisp and golden. To drink with moleche, choose a Veneto white wine such as Soave. The wine comes from grapes grown in the eastern part of the Province of Verona. Soave wine has aromas of pears and peaches with a hint of almonds.